This album features previously unreleased live material, originally recorded for the BBC "Radio 1 In Concert" programme. 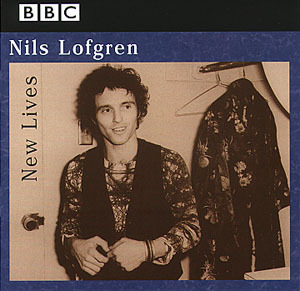 The track listing was compiled by Nils Lofgren and is taken from three shows, recorded in 1985, 1987 and 1991. Several songs are featured which have not been available before in any form and former Pretenders guitarist, James Honeyman-Scott, plays on one track "Empty Heart". "There are a lot of good versions on "New Lives" that I'd forgotten or didn't realise were on tape. A selection of songs no-one has ever heard makes it a much more attractive package..."